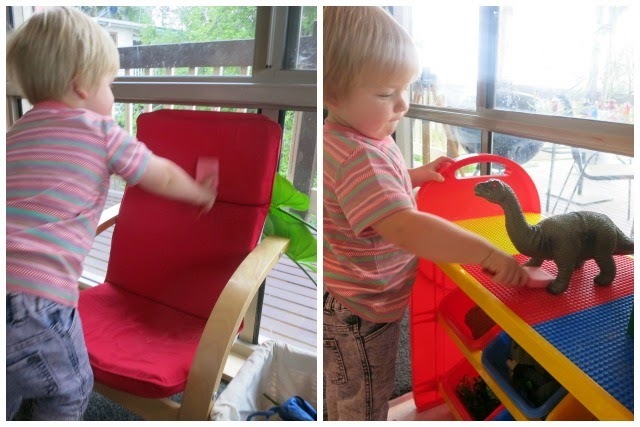 Learn with Play at Home: Toddler gross motor colour learning game. 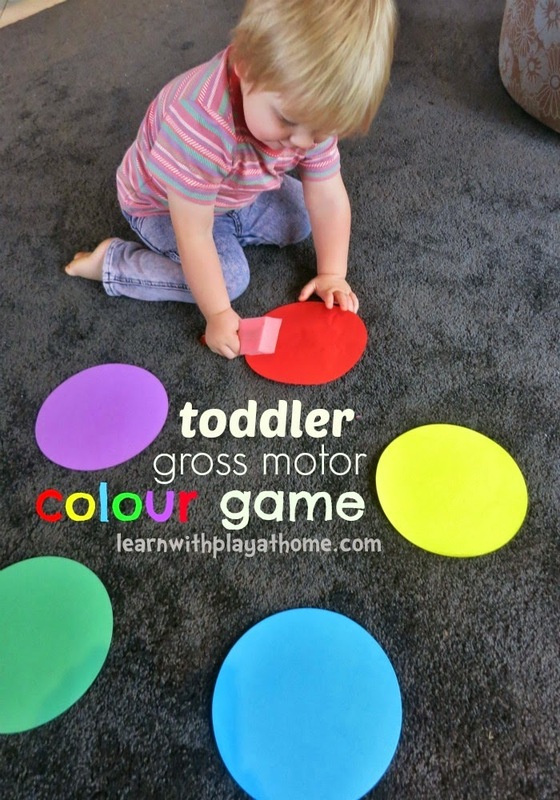 Toddler gross motor colour learning game. 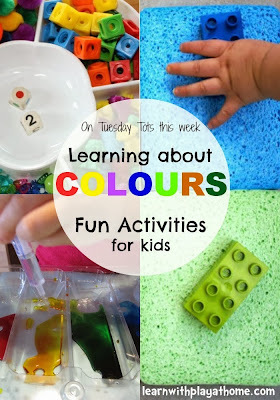 Here is a great game for toddlers to help them learn and identify colours (colors) whilst getting them moving and working those gross motor skills at the same time. You can play this game virtually anywhere and it will take minimal time to set up/ pack away. This is a favourite game of my son's that we play in his kinder gym class and you can vary it to suit your child and the stage that they are up to. Continue with different colours/objects etc. until your child has had enough. 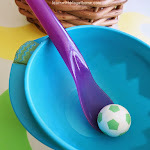 - Simplify this activity for younger children by starting with just 1-2 colours. Focus on using the colour's name and have them take their "paint" with them to hold up against objects to compare. Use multiple colours and shades. Encourage early literacy skills by writing the name of the colour on the paper so that they can associate the word with the correct colour. To make it even harder, provide only write paper with the different colours written on them so that children must read the word to figure out which colour they are painting with. Provide only the primary colours and have children figure out which 2 colours they will need to paint items that are a secondary colour. Have children keep a track of the number of different items they paint in certain colours. Which is the most popular colour? etc. - Mix it up by using different materials for the paint (such as silk scarfs) and encourage a different movement each time they go off to paint a new object. eg, crawl to red, spin to blue, hop to green etc. This will encourage more movement and use of their body. - Repeat this activity as often as you like because all children need repetition to consolidate their learning and understanding. 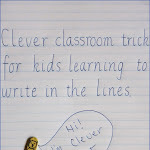 They will gain new insights/understanding each time they repeat the same activity. 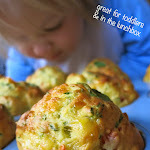 - Talk to your child about what they are doing. 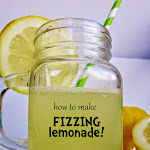 This will help them begin to understand the physical and mental processes they are going through as well as helping develop their vocabulary. "What colour will we need to paint the chair?" "Can you find any yellow items to paint?" etc. Here's another post full of activities to learn Colours!